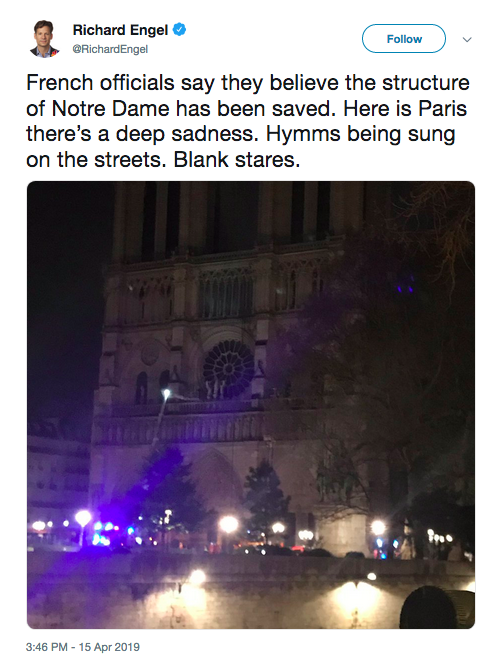 France’s most iconic cathedral, the Notre Dame de Paris, has been devastated by fire. More than 400 firefighters on Monday worked to contain the blaze, but it was mostly in vain, as the fire ripped through the building. 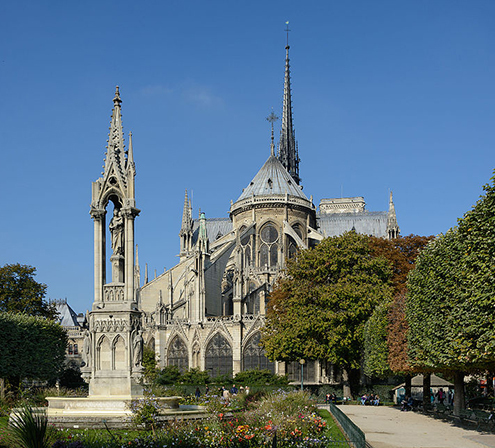 The 850-year-old cathedral is the spiritual symbol of Paris, a country becoming largely secularized. Tourists, residents and workers were evacuated, before watching on as the spire collapsed under the heat of the flames, falling in on itself. According to firefighters, the roof was destroyed and that there was a risk that if the fire was not contained, the entire building could collapse. Fortunately, as the building was undergoing renovations, many of the stained glass windows and other ornaments had been removed from the building. The cathedral was considered to be one of the finest examples of French Gothic architecture. The innovative use of the rib vault and flying buttress, the enormous and colorful rose windows, and the naturalism and abundance of its sculptural decoration all set it apart from the earlier Romanesque style. The cathedral was begun in 1160 under Bishop Maurice de Sully and largely completed by 1260, though it was modified frequently in the following centuries. 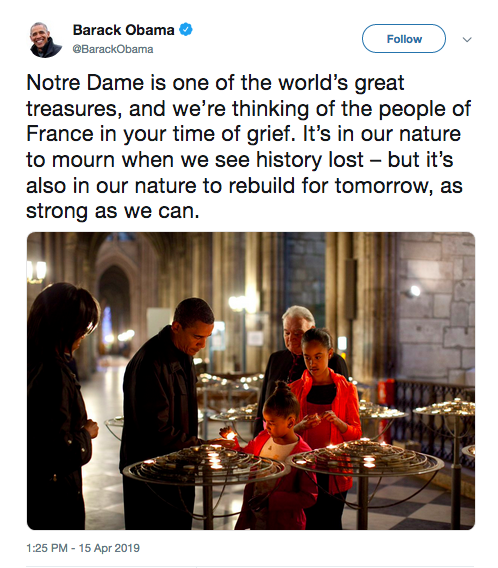 In a show of support, other churches in Paris were ringing their bells Monday night at the request of the bishop of Paris, as a call to prayers for Notre Dame. What’s the Point of Easter? That's where we come in. We have a team of publishing professionals ready to help you bring your book from your laptop to the world. We offer cover design, typeset, eBook conversion, and competitive print prices. Oh and you'll also be on Amazon and thousands of websites worldwide. Let us help you take the next step. Initiate Media supports safe surfing. Click here to learn more.